In another thread we started to discuss potential 2018 recruits for the men. 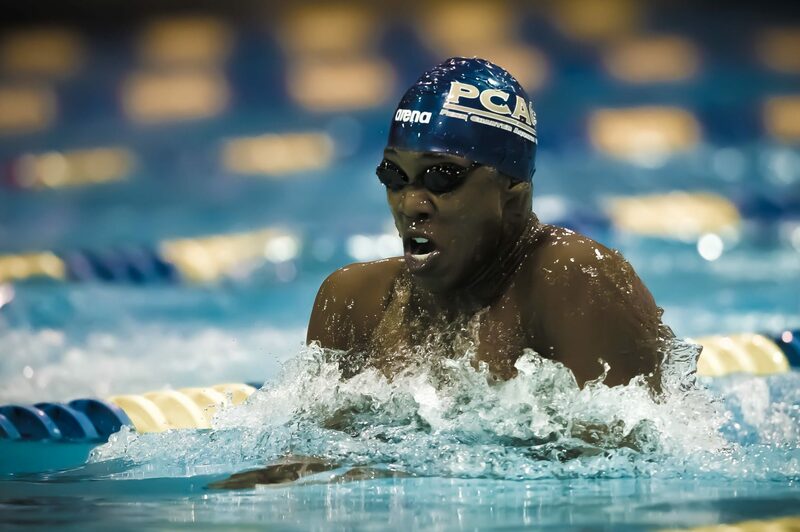 Recognizing it is way to early, the recently concluded Winter Junior Championships featured a number of emerging young stars in both men's and women's swimming. I thought I would offer some early thoughts for the men and leave it to others much more knowledgeable for the ladies. In 2018 we will be looking to replace 8 seniors including Lynch (fly/sprint), Josa (fly/sprint/IM), Hoppe (breast), Green (IM/back) and Kao (distance). -Drew Kibler hails from Carmel, Ind. and swims for the same club as did Amy Bilquist. He will obviously be targeted by all the usual suspects but don't sleep on the hometown Hoosiers who are building a solid sprint and mid-distance program. Drew has tremendous free range as he already has times that would have earned points in the 2016 NCAAs in the 200 and 500 free, while his 50 and 100 times are just outside top 16. He is my choice as #1 recruit in the class. -Trey Freeman who swims for the Baylor Swim Club (Kristin Vredeveld also swam for Baylor) in Chattanooga is another swimmer with great free range in the 2018 class. Whereas Kibler has a bit more sprint speed, Freeman projects as scorer in the 1650 and 500 free. He would fit the bill for the distance stud requested by Longseeker, but his profile makes him a natural target for Stanford's impressive distance group (recognizing the Card's have a very unbalanced roster). -My personal first choice for a 2018 Bear recruit is Reece Whitley. Reece is the best young breastroker in the country with times that would have scored in both individual breast events at 2016 NCAAs, with his 200 time the 3rd best time. His 200 IM time is just outside last year's top 16 and projects Reece as a three event scorer and medley relay beast .Think of a Josh Prenot with more sprint speed. -Could James Brinegar be the next distance recruit from the Mission Viejo Nadadores? Shane Forker, Nick Norman, Ken Takahashi and Janardan Burns are all ex- Nadadores, and Jame's 14:53.52 in the 1650 swam this November would put him just outside 2016 NCAAs scoring and 6th all-time best for Cal in the event. - Christopher Jhong from nearby Pleasanton is a distance/swimmer who has made an impressive time drop in his 400 IM time. - Daniel Kim a teammate of James Brinegar at Mission Viejo is one of the better butterfliers in the 2018 class, as we look to replace Lynch and Josa's talents. -Staying with butterfly, Andrew Koustik from Costa Mesa, had a nice 200 yard fly at the 2016 U.S. Winter finishing with the 4th best combined event time of 1:45.04, and second best of the class of 2018. - Zander Minano, a teammate of Cal legacy commit Nate Biondi at Canyons Aquatic Club is a promising sprint free/flyer. -Other California high schoolers to keep an eye on include Truckee's Coop de Ryk (sprint free/fly) and Owen Kao (mid to long free) from Laguna Niguel (I do not believe he is related to Ryan). In the earlier posts we discussed two Polish international sprinters with high end sprint prowess, sprinters Kacper Stokowski and Bartosz Piszczorowicz. I know it's difficult to allocate scholly dollars to foreign swimmers (who are not eligible for other financial aid), but either of these two would be an interesting addition to our free/fly sprint groups. Bolles swimmer Willie Davis also had a couple of fast swims at Winter Juniors with a 19.92 in the 50 free and 44.19 in the 100. -If we miss on Mr. Whitley, perhaps Daniel Roy from Spokane is worth an offer. He finished 2nd to Reece in the 200 breast and 3rd in the 100 breast at Winter Juniors (combined times). Happy to learn of any other recruits of interest, especially where Cal has a potential recruiting edge. Going into the 2018-2019 season there will be four men still on the team that have swum at NCAAs as of now: Seliskar, Norman, Thomas, and Sand. Takahashi could join them from the current sophomore class, but hasn't looked as good this year as last year. The freshman class adds two definite NCAA guys (Jensen and Sendyk) plus Lileikis who looks to be headed in the right direction and is a probable relay piece, Xie and Song who may or may not get there this year, and Young, who has struggled so far. So all of those together likely come out to about 9 current swimmers who should be factors at NCAAs in 2019. Of the incoming class, Hoffer, Grieshop, Mefford, and probably Carr should be capable contributors right away. Julian, Daugherty, Hatch have some work to do, I'd expect at least one to make the roster. Assuming the goal in constructing the roster is to create a full NCAA squad of 18 potential scorers and five complete relays, that leaves us with 3-5 NCAA roster spots that could be filled by class of 2018 swimmers without any "diminishing returns" as it were from giving money to a swimmer that doesn't compete on the national stage. The trend of this team is that if they aren't contributing, qualifying, or at least making a big step forward their freshman year, they likely won't be a big point-scorer over the next three (hopefully Thomas breaks the mold here). The top three swimmers in the class are clearly Kibler, Whitley, and possibly this Moldovan Olympian Alexei Sancov who recently started training at Terrapins in Concord (the same team that produced Justin Lynch). Not sure if he's staying in the US, if he's classified as a HS junior, or even if he's an amateur, but if he is he'd be just behind Kibler in this huge group of middle-distance swimmers coming up. In addition I agree that Brinegar is a logical candidate, along with perhaps Sonora's Simon Lamar, and I'd also point out that the second best breaststroker in the class is Max McHugh out of Wisconsin who is already at 53.00 and 1:55 from last year. I believe his brother goes to Minnesota though. It should be noted that Willie Davis has a twin brother, Issac Davis, who goes 19.9 in the 50 but doesn't (yet) have the range to do anything else, so they may be a package deal. If we don't get Kibler, or even if we do, there's plenty of sprint talent to go around. Franzman (IN), Krueger (WI), Bobo (TX), Willenbring (TX), LeVant (TX), and the aforementioned Davis twins all have been either sub-19, sub-43, or both. LeVant is now the fourth or fifth best swimmer in the class, with range extending from 100-500, plus can swim both butterflies. "Going into the 2018-2019 season there will be four men still on the team that have swum at NCAAs as of now: Seliskar, Norman, Thomas, and Sand. Takahashi could join them from the current sophomore class, but hasn't looked as good this year as last year. The freshman class adds two definite NCAA guys (Jensen and Sendyk) plus Lileikis who looks to be headed in the right direction and is a probable relay piece, Xie and Song who may or may not get there this year, and Young, who has struggled so far. So all of those together likely come out to about 9 current swimmers who should be factors at NCAAs in 2019." Ryan Kao also swam at 2015 NCAAs (500/1650). He appears to be focusing more on the 500 currently and is ahead of last year's pace by 2 seconds. "The trend of this team is that if they aren't contributing, qualifying, or at least making a big step forward their freshman year, they likely won't be a big point-scorer over the next three (hopefully Thomas breaks the mold here)." Interesting observation (c.f. Gornay, Campbell, Silverthorne, Coan, Burns, Dillinger etc). Is this generally true with swimming recruits, i.e. many highly rated preps just simply do not pan-out, or does Cal with its somewhat more rigorous academic demands make it difficult for student/athletes to be successful at both their sport as well as in the classroom. "The top three swimmers in the class are clearly Kibler, Whitley, and possibly this Moldovan Olympian Alexei Sancov who recently started training at Terrapins in Concord (the same team that produced Justin Lynch). Not sure if he's staying in the US, if he's classified as a HS junior, or even if he's an amateur, but if he is he'd be just behind Kibler in this huge group of middle-distance swimmers coming up." Nice catch re Sancov and the Concord Terrapins. I would hope Durden and staff have answers to your questions about Sancov's eligibility. Maybe he can stick around long enough to gain California residency. "In addition I agree that Brinegar is a logical candidate, along with perhaps Sonora's Simon Lamar..."
Lamar was listed as a commit to Stanford last year by collegeswimming.com, but no longer, and I suspect I have a mental block about his desire to be a Bear. I also like a number of out-of-state guys on your list, but given absence of a Cal edge and the additional cost of non-resident tuition I left them out of my original post, although it would be sweet to nab Levant and/or Bobo away from Eddie. Ryan Kao is a junior currently though, and will be gone by the time the class in question matriculates. As far as swimmers turning it around after their freshman year, I'm not sure how common it is but it's definitely not unheard of; see Texas's Clark Smith or USC's Steven Stumph. Didn't know that re:Lamar. That is a bit suspect, but then collegeswimming,com has been known to post erroneous commitment information in the past. In the past I would've been quick to write off almost any chance of getting guys out of Texas, but the signing of Grieshop shows that Dave has really ascended to the highest possible level of recruiting. You may be right about the expense though. It seems likely that the money might not be there for more than about two elite out-of-staters, so fingers crossed for Kibler and Whitley. If not them then another sprinter and a 200 capable guy like Freeman, LeVant, or Callan out of Oklahoma. Better to scrounge together a near full-ride for a Kibler type than to use it on 5 Californians of uncertain potential, which unfortunately is most of what the this class has to offer. I would be quite happy with Kibler, Whitley and 5 Californians (Brinegar, Jhong, Koustic, Kim, Minano). The Bears would have some pretty nasty relays pieces with Jensen, Hoffer, Sendyk, Kibler, Whitley, Lileikis, Mefford and Seliskar. LSJU is a distance monster, but they're way too unbalanced to be a credible NCAA title contender. Grieshop, Norman, KT, and Forker are a formidable distance crew. No offense to Freeman, but in-state Brinegar is a much better value for Durden's Bears. No doubt re Freeman versus Brinegar. Same applies to Simon Lamar, but I have a gut feeling that he is Stanford bound. 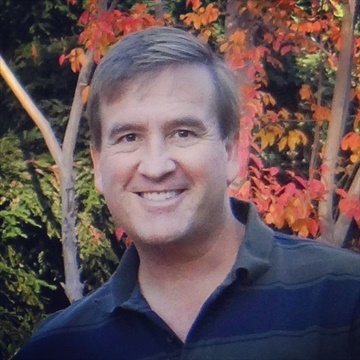 Perhaps this is a odd coincidence, but there was a professor in Stanford's Dept of Aeronautics named Simon Lamar. At this time, 2018 is a pretty lean year for male California prep swimmers but 2019 appears a bit deeper. 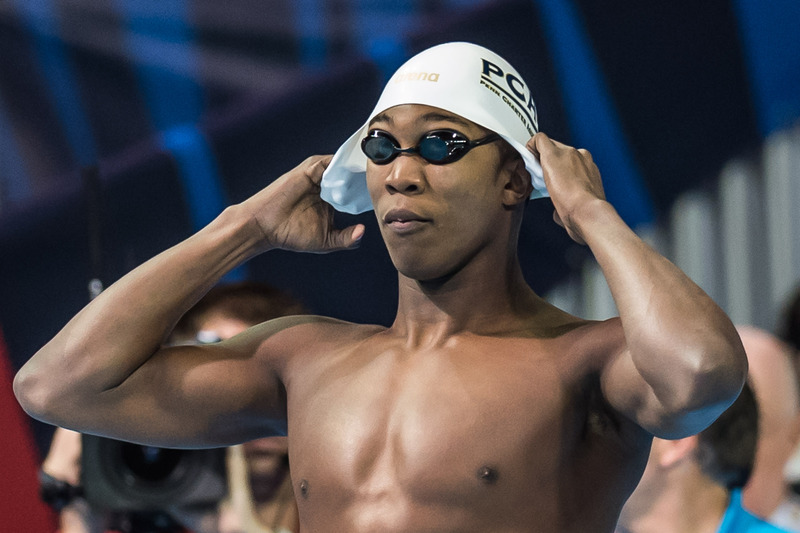 Swimmers of interest include Colby Mefford (Bryce's brother) and another Mykkanen (Christopher), and a couple of local boy's who train with Terrapins (Arod Rodriguez) and Pleasanton Seahawks (Calvin David and Jonah Cooper). The early top rated men's recruit in the 2019 class is SwimMac's Jack Walker. An out-of-state swimmer, but hopefully Durden's connection with Dave Marsh puts us in the recruiting picture. I don't track divers but I would hope that Durden is able to attract a steady flow of competitive divers with the new Legends facility. Texas' diving edge likely keeps the NCAA trophy in Austin in 2017 and makes them competitive in 2018 and beyond despite less heralded recent swimming recruiting classes. Re the post below by [U]2018 recruit[/U] (Robert) Trey Freeman (#1 TN, #1 Nat), Baylor Swim Club and on the National Jr. Team - just visiting Gainesville, or expressing his approval of the Gators...or a really early informal commit??! The Gators must have given him an unbelievable offer for him to commit so early. Although not quite as early, local boy Max Rooney also made an early commitment to Florida in 2015. Kibler and Whitley remain the top targets for the Bears. Freeman's a great swimmer from an excellent school, but he'd be a luxury out of state recruit for a team that already has a better version in Grieshop. Kibler and RW would fill a lot of holes. Hoffer is valuable because he could swim three medley relay legs (free, back, fly) for the Bears. Mefford/Carr could handle the back and Jensen could handle sprints, but an elite flyer would be a bigger bang for the buck. Sadly there aren't any 2018 CA options. Florida is putting together a solid 2018 class, having obtained early verbals from Trey Freeman, sprinters Willie Davis and brother Isaac (package deal as suggested by BRBear? ), and Florida IMer Miguel Cancel. The Gators only have two seniors on their current roster. Freeman's a great swimmer from an excellent school, but he'd be a luxury out of state recruit for a team that already has a better version in Grieshop. Kibbler to Texas. Huge get for Whorns. 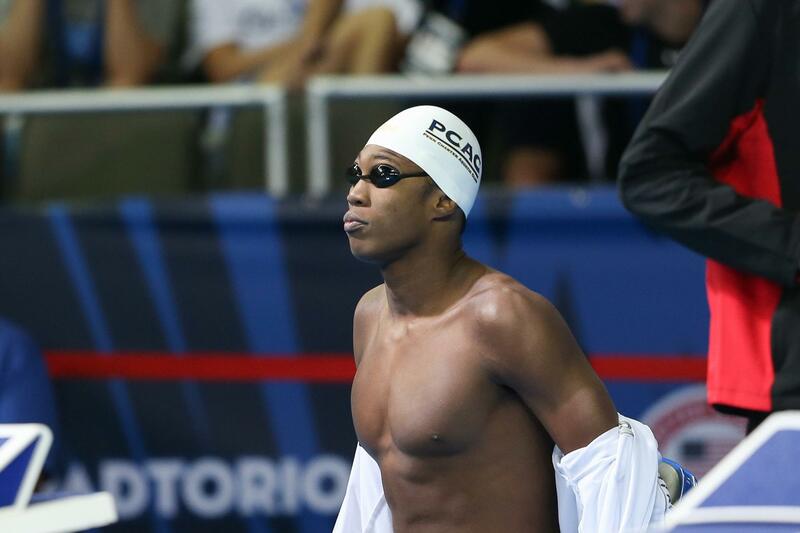 Really got to get Reece Whitley. Is Levant a shoo-in for Texas since he lives there? Who is our next best bet for the 200free? Is there a foreign swimmer we can recruit? How do teams like NC State, Louisville, Florida, et al get so many foreign recruits. Is money no object for them? Don't they get tons of foreigners for the same reason our women's polo team gets foreigners I.e can't land the top domestic players? Florida produces more than enough in-state talent and FSU and Miami (no men's team) are no threat in recruiting or in the pool, but Gregg Troy's old school training methods are brutal and they can't attract or retain enough elite in-state or domestic talent to win NCAAs. Women's team has only won twice and men's team has never finished higher than third. That's chronic underachievement similar to Illinois in basketball. Georgia and Auburn would never have been powers without Florida talent. NC State and Louisville recruit internationally because their home states don't produce enough in-state talent. Average size populations and can't monopolize in-state talent. Charlotte's SwimMAC (Baker, Josa, Maija) and Louisville's Sacred Heart/Lakeside (Brooke Forde, Leah Stevens, Kennedy Lohman) all produced PAC swimmers. Louisville's head coach is Brazilian and they have a Russian asst coach. NC State has a dynamic young coach and great sprints, but neither program has ever won any NCAA team titles. Indiana is somewhat different: slightly above average size state, but a legendary men's dynasty. Can't land Carmel talent (Kibler, Amy, Claire Adams, Burchills), so have to backfill with Canadians. Looze is an awesome coach and Lilly King is extraordinary, but tough to move up against traditional powers from huge states. The coaching carousel set off when Eddie Reese retires could be devastating for NC State and IU. A stellar international is great, but comes with significant risk/cost: SCY conversion, language/cultural issues, no financial aid. Taylor Ruck is low risk: competes in SCYs in Arizona and a native English speaker. Teri & Durden have built-in advantages: huge in-state swim talent, great tradition, world class swimming and academics. Build the bulk of the team with in-state talent, add elite national recruits, and selectively cherry pick internationals. Lots of activity on the women side but looks like the longhorn got instate recruit Alex Zettle Nat #38, Tx #6. Don't know if it true or not someone posted on the Alex's thread also that they have another early verbal from Texas Matthew Willenbring Nat #6, Tx #2. Haven't verified it but If true this would bring Texas total to 4 (Daniel Krueger Nat #17 and Charlie Scheinfeld Nat #45). Texas and the Gators (5 recruits) seem to getting quite a few early recruits. No verbal to Cal yet but still keeping my finger cross for Reece Whitley. Really got to get Reece Whitley. Is Levant a shoo-in for Texas since he lives there? He is ranked #11 on swimswam but tied for #1 on College Swimming. This is the 2nd men recruit for ...ford. Looking at the picture he seems kind of petite! Haven't been following swim recruiting lately but I assume y'all of seen that #1 overall recruit Reece Whitley committed? Just wanted to bump this - this is big news! Wow! That is a huge pickup!!!!! Durden is God!!! Awesome get! Decent breast options (Seliskar, Sand), but definitely set for four years with RW. Kibler's great, but Sancov's close. Always risk with internationals (Moldova), but much lower with SCY experience and cultural/language issues (based in Walnut Creek). RW, Sancov, and fill in the rest with Californians. 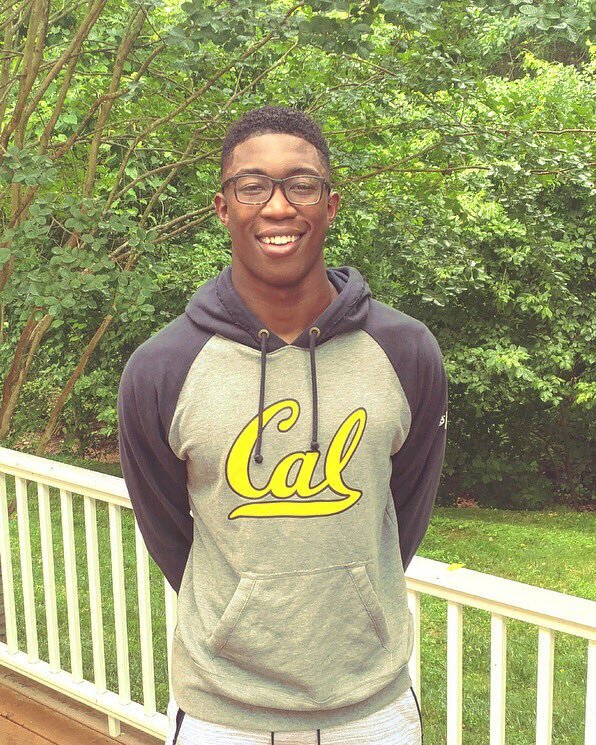 reecewhitley: Excited to announce my verbal commitment to the University of California, Berkeley! I'd like to thank my parents, close family, coach and friends for getting me this far in my career and for giving me this opportunity. The Cal Bear family is one like no other and I can't wait to join them in the fall of 2018! nathangadrian: Congrats! Welcome to the 🐻 family! joshprenot: @ryan_f_murphy stop being mean to me online congrats Reese!! danielcacarr: Hell yeah man!! Can't wait to win some championships with you. Go Bears! brooke4d: Guess we gotta be rivals now... but congrats anyway!!!! There's a very-defined top 2 in this class, with really good arguments to be made for either one to take the top spot. That also serves as a mini-collision of the two real power events in this class breaststroke and mid-sprint freestyle. This is the best breaststroke class we've ever ranked, and we've been ranking down recruiting classes since 2012. We've got 4 swimmers in our top 10 who would accurately classify as breaststroke specialists, with two more who have breaststroke events in their peripheral skill sets. That's the most breaststrokers we've ever ranked in our top 20, and there were several more who just missed the list. The last class with this much incoming breaststroke talent was probably the class of 2015, which included Andrew Seliskar at #1 and Carsten Vissering at #4. There's also a wealth of 200 freestylers in the class, including at least four under 1:35.0. Most of those guys have excellent range, and much of our top 20 is made up of guys who can contribute to multiple relays from 50 to 200 yards. Versatility is also at a premium in this class it's tough to exactly project 3 good NCAA events for each swimmer, and some guys are hurt a bit by some of their top events conflicting in the NCAA format (200 back/200 fly, for example, or 200 free/100 fly). It's a deep butterfly class, with a lot of guys in the 47s and 48s. Backstroke is much more thin overall. But neither stroke has a surefire, instant-impact type swimmer, especially as the NCAA gets fast enough to require 45-second swims in either 100 to score points. The flipside of that firmly-established top-2 is that while there's a noticeable dropoff from the elite tier, the second tier of athletes is really deep. We had at least 10 athletes beyond even our honorable mention group who had realistic arguments to be top 20. Developmental prospects abound in this group. Whitely is the key recruit in the 2018 class for the Bears. 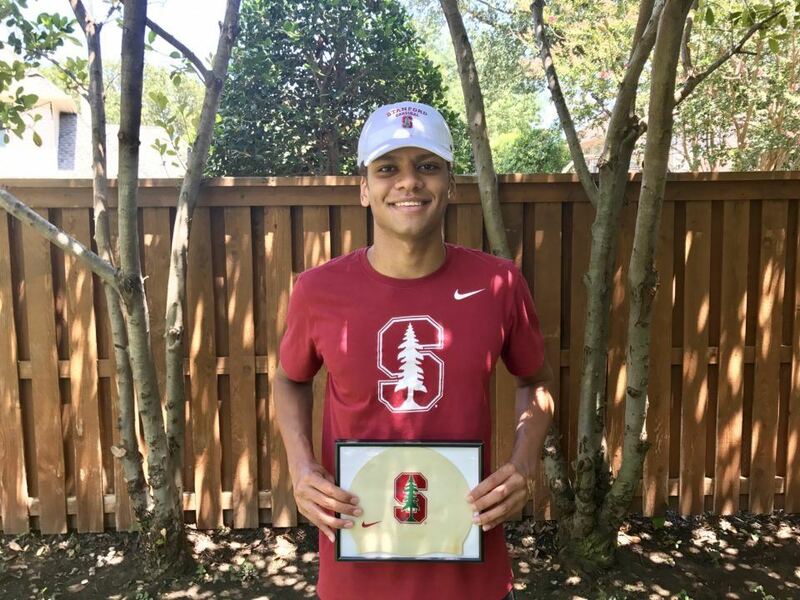 In the end, it turned into a Cal/Stanford decision as Reece is very academically oriented. While I would assume a paid ride into the Farm would be difficult for a student at Penn Charter to turn down, Reece seemed to be able to better see himself working with Dave Durden and the rest of the Cal swim family, and appears eager to take on the challenge of surviving at Berkeley versus having his hand held for four years. I think Dave was also able to sell him on his success at developing Olympic champions that simply is not happening at Stanford under Knapp. Reece (who may be 6'9" currently) projects as a A finalist in both breast individuals as a freshman, as well as possibly scoring NCAA points in the 200 IM. Texas has the bucks to spend in 2018 and has picked up a couple of major recruits including Kibler and Matt Willenbring (very talented and a good fit for the Cal program, unfortunately), but I think we have closed the gap with our last couple of recruiting classes and Whitely is the one recruit I thought Cal needed in this class. Texas needs to replace Will Licon's breaststroke contributions, and the best breaststroker in the last 3 recruiting classes is off the boards and coming to Berkeley. I know the coaches are in contact with local swimmer Sancov, but I believe there are admission hurdles that come into play. Although we have 9 rising seniors in 2017 including Connor Hoppe, Justin Lynch and Matt Josa, I wouldn't expect a large class in 2018 as the staff may decide to focus scholly $ on the 2019 recruiting class that has more high-end California representation. Adrian, Murphy, Seliskar, and Reece are all exceptional students and swimmers who have excelled at the highest levels. They all realized they can't maximize individual and team goals in the pool on the farm anymore. Dave Nolan was at their level athletically and academically as a prep, but never made an Olympic team even after red shirting and training with Bob Bowman at ASU. Oski's perfectly fine with the status quo on the farm, but doubt they'll stand pat much longer while Durden stomps them on the recruiting trail and in the pool. I was cheered by the recent verbal by highly ranked Jack LeVant (from Texas) to Ted Knapp's Cards. I hope that Knapp's ability to recruit the occasional top recruit (Nolan, Shoults etc) is just enough to keep Ted employed on the the farm; we do not need another Meehan or Harbaugh to rescue a foundering program. 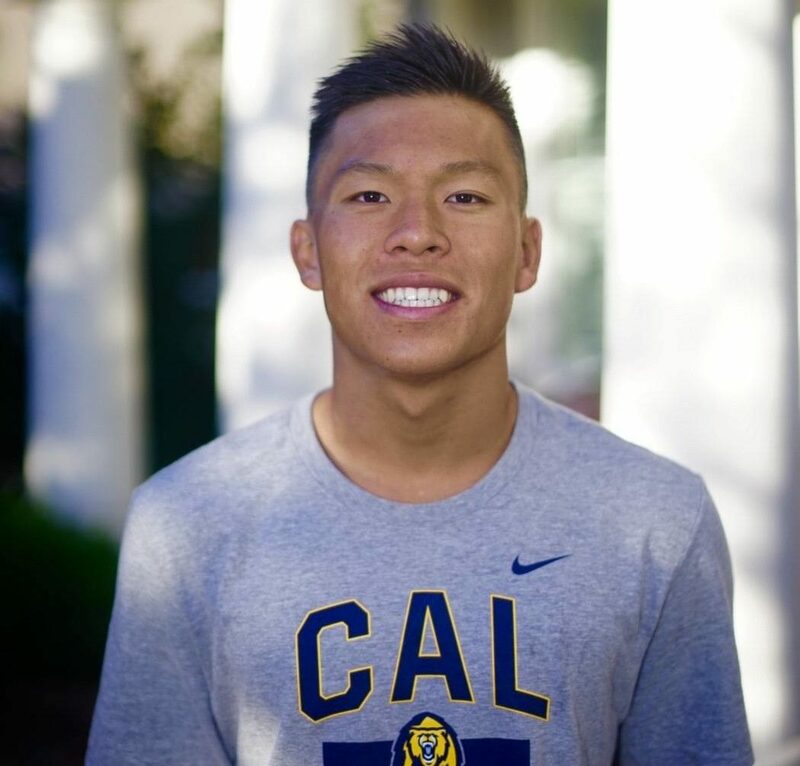 Thanks for the heads-up on local recruit Christopher Jhong, who was mentioned in the original post on this 2018 recruiting thread. 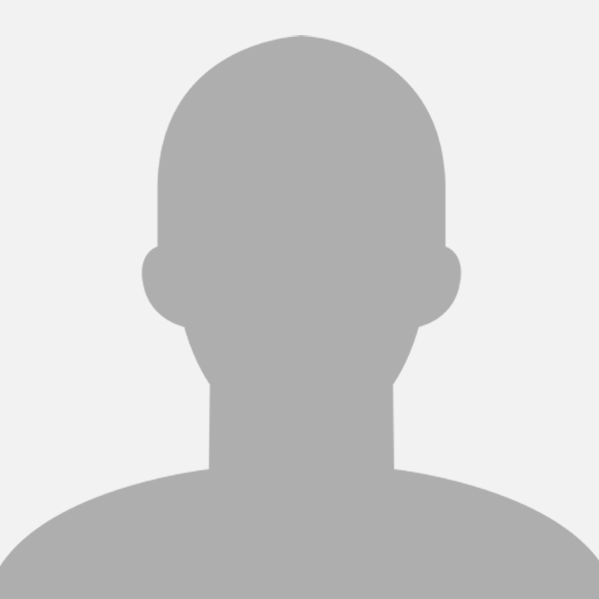 "Christopher Jhong from nearby Pleasanton is a distance/swimmer who has made an impressive time drop in his 400 IM time". Chris finished 2nd in the 200 IM (PB 1:47.34) at the CIF Swimming Championships held in May 2017. Jhong swims with the Pleasanton Seahawks, and his teammates include two highly regarded class of 2019 recruits, Jonah Cooper (CollegeSwimming's #2 rated prospect) and Calvin David (CollegeSwimming's #11 rated prospect).